From 9th to 10th July 2018 all PANBioRA partners met in order to discuss the current state of the project’s development and to agree upon the plan of action for the next 6 months. The meeting was organised and hosted by project partner Steinbeis Advanced Risk Technologies Institute doo Kragujevac and took place in Belgrade, Serbia. 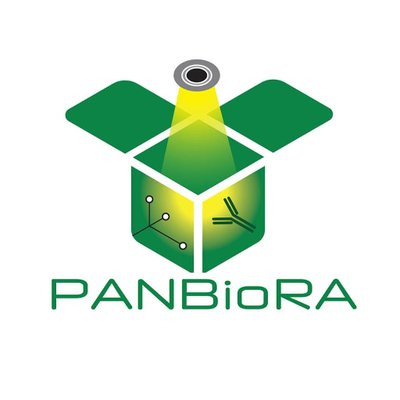 The PANBioRA consortium aims to develop a testing system integrating different technologies into a single instrument that will be able to perform multiple analyses on cell and micro-tissue levels. PANBioRA’s testing system will provide an improved, faster and cheaper assessment of biomaterials. Better clinical outcomes for implants as well as savings in healthcare costs are potential impacts of the novel PANBioRA system. The scientific coordinator Dr. Nihal Engin Vrana from Protip Medical is excited about the work performed during the first six months of the project, “We have already reached significant advances in different aspects of the system, such as the testing of several in silico systems for investigating biomaterial/macrophage interactions or the development of a first demonstrator of the mini-microscope.” Integrating mini-microscopes into the system allows live stream data acquisition of the different testing methods. The microscope, developed by the department of Computer Engineering at TOE EPOKA University, allows magnifications from 7x to 70x and real-time monitoring of cellular behaviour and cell viability. The hosting partner Steinbeis Advanced Risk Technologies Institute doo Kragujevac is responsible for the multi-scale modelling part applied to biomaterials. With multi-scale modelling, aspects of risks being difficult to assess experimentally can be simulated, allowing a comprehensive biomaterial risk assessment. Above that, these simulations can lead to a reduction of animal testing and clinical trials. One of the models developed during the first project months focused on epithelial cells’ behaviour for assessing the effect of biomaterials on barrier-forming tissues, and another one focused on macrophage attachment on to the biomaterials. In the following 6 months, the work in the project will concentrate on the design of the initial integrated systems, particularly the automated cytotoxicity test and connected organ-on-a-chip system. These are important steps towards reaching the final goal of developing a system integrating testing method on nano-, micro- and mili-scale level. Potentially, it will be possible to test first clinical samples with Mimotope Variance Analysis (MVA), which is a propriety technology of Protobios, as authorisation for the clinical trial part of the project has already been obtained by Centre Hospitalier Universitaire de Liège. Above that, a stakeholder community will be built under the coordination of Steinbeis Advanced Risk Technologies GmbH in Stuttgart with the aim to identify and evaluate needs and expectations with respect to the development of a risk governance framework for biomaterials which will result in the PANBioRA Risk Radar at the end of the project.